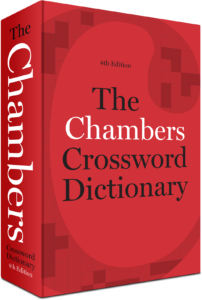 The 13th edition includes all the much-loved features of The Chambers Dictionary, including the unique quirky definitions for certain words. 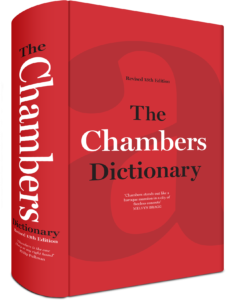 There are over 1,000 new words and meanings, and there is also a brand new two-colour Word Lover’s Ramble at the back of the Dictionary, showing how English words and definitions have changed over the history of The Chambers Dictionary. Every month we nominate a ‘Book of the Month’ as the prize in our monthly prize draw. 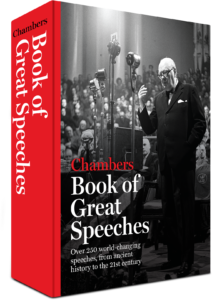 In November, the brand new edition of the Chambers Book of Great Speeches is up for grabs. The prize draw is open to all our newsletter subscribers, and a winner will be picked at random from our database at the end of each month. Sign up now to be in with a chance of winning. Every month a new cryptic crossword will be posted onto our puzzle page. A new online Sudoku puzzle appears daily. You can even time how long it takes you!